Sharp beyond 100,000 cuts! 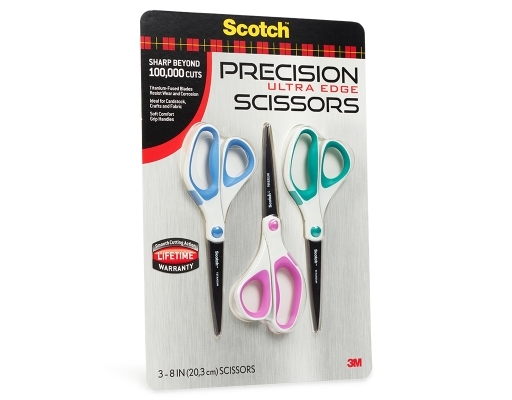 Titanium-fused blades resist wear and corrosion. 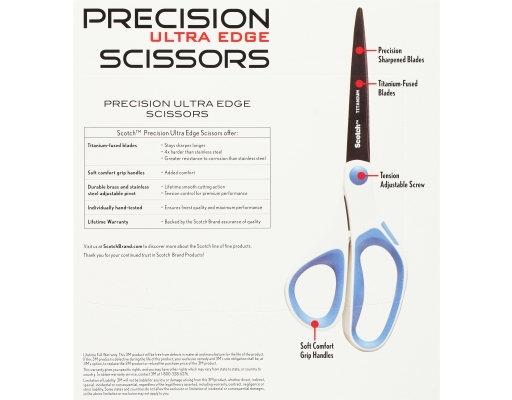 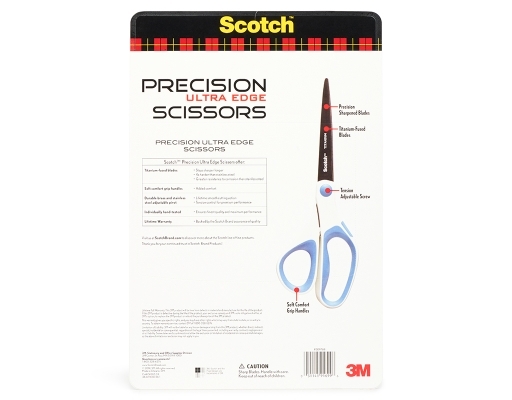 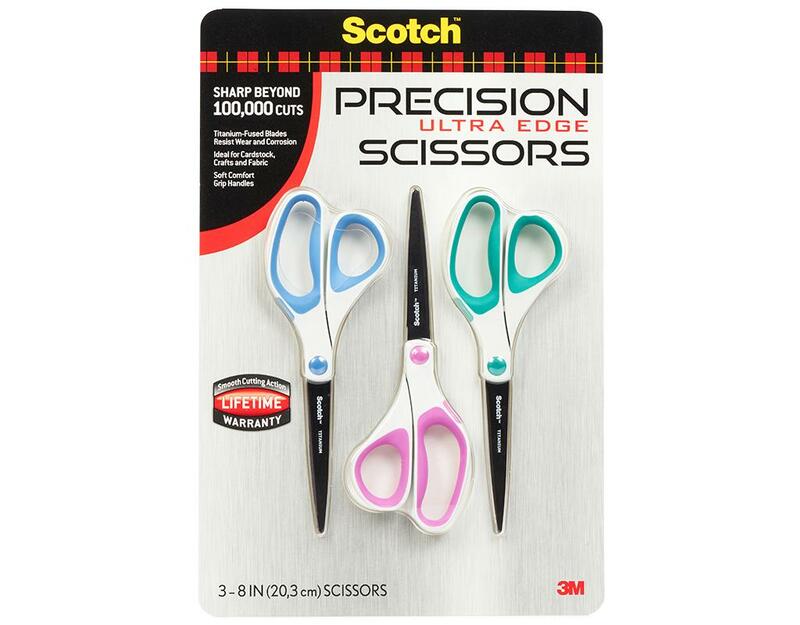 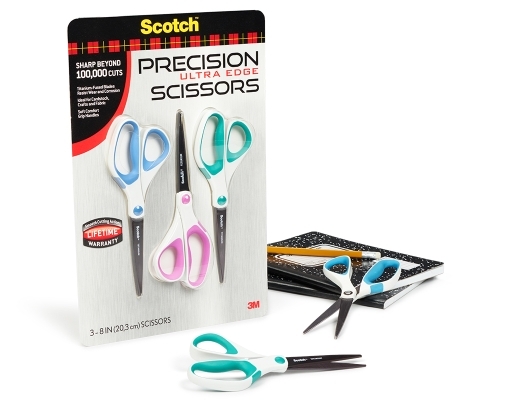 Scotch Precision Ultra Edge Scissors are ideal for fabric, crafts and photos. 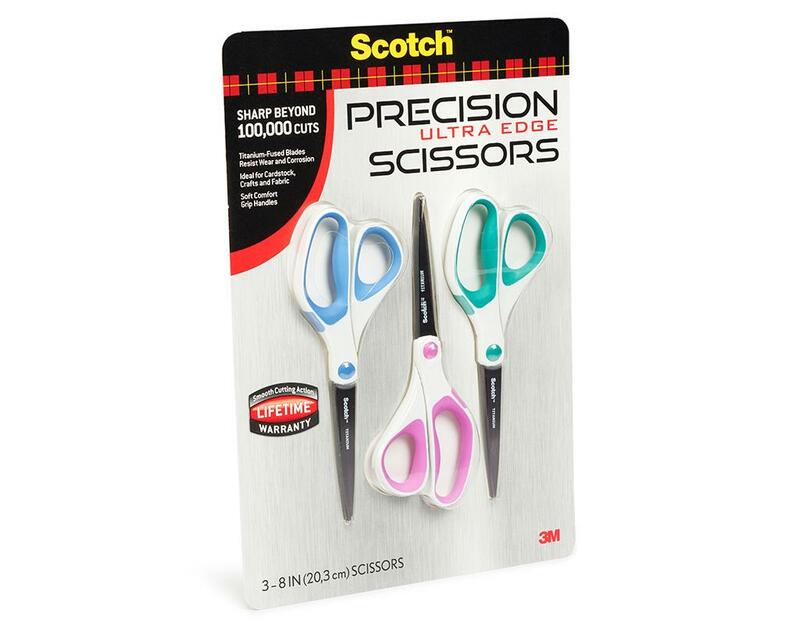 Titanium-fused blades stay sharp beyond 100,000 cuts - longer than stainless steel blades. Soft comfort grip handle designed for left- or right-handed use, 8" length.